The November 2017 issue of DC Modern Luxury features a fabulous three-page spread of a recent Arlington Home Interiors project - a classic Capitol Hill row house. 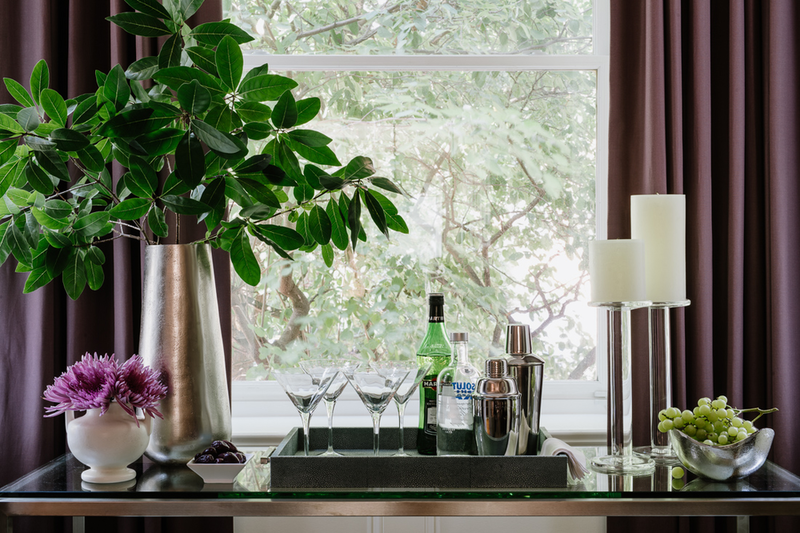 Our clients were looking for a stylish, sophisticated update for their recently renovated home. The challenge with this project was to maximize the flow of the long, narrow main level. 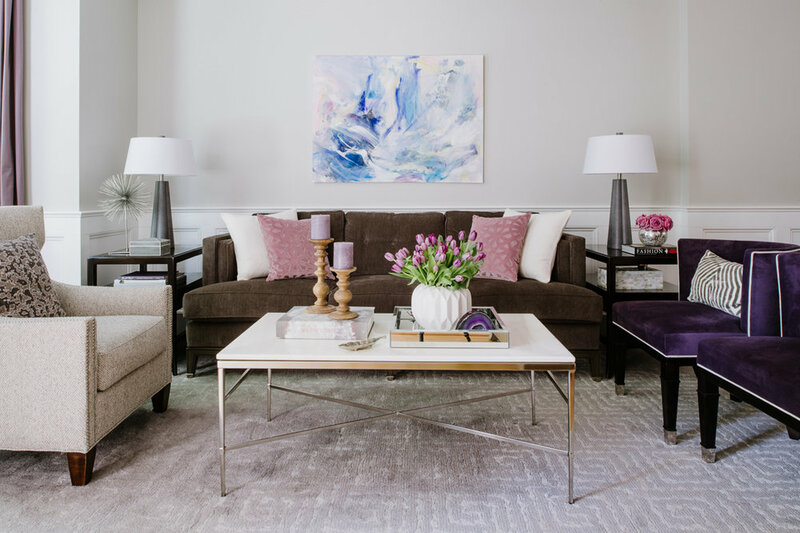 We defined the individual areas with custom-cut carpets (with subtly different designs), dramatic lighting fixtures, textured furniture and a sophisticated color palette of deep purples and rich shades of gray. Our favorite items included; the purple art deco chairs with nail-head finishes, the hand-forged dining room table and the original art – both the abstract painting by Richard Schadd in the living room and the client’s cube art by Kaiser Suidan of Next Step Studio in their dining room. It takes an experienced team to pull together a shoot this beautiful. We’d like to thank Robert Radifera for the photos and Charlotte Safavi for the styling.